We created beautiful memories with your friends and supporters by releasing lanterns of wishes into the night sky. 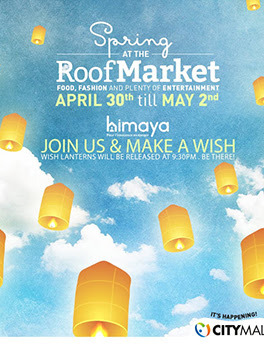 Lanterns were be sold by himaya at Citymall's Roof Market, and the release took place May 2nd at 9:30 pm. All proceeds from the sale of lanterns have gone towards supporting the children of himaya's Resilience Center.